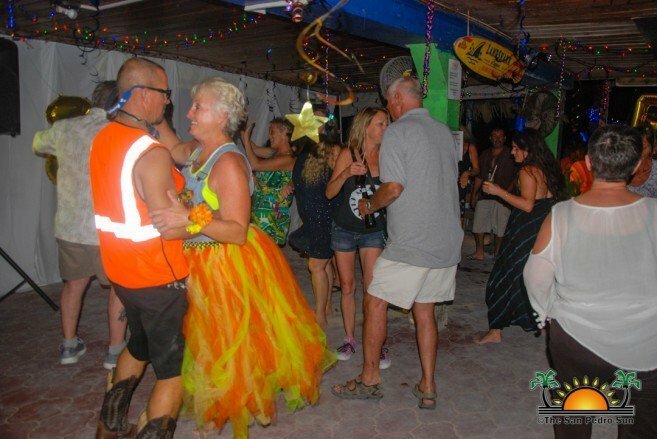 Newer: » San Pedro’s Carnaval has begun! 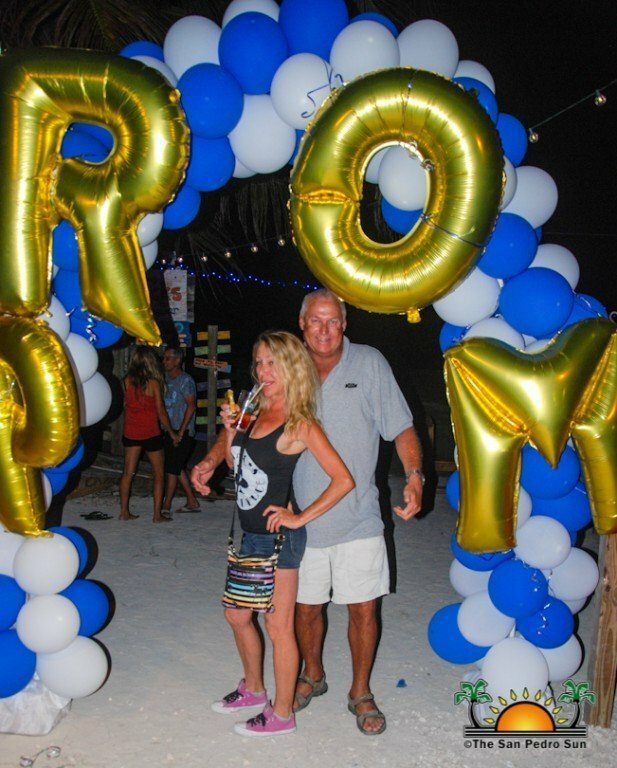 Prom Night came early this year to San Pedro Town, and it didn’t involve the traditional senior high school students! 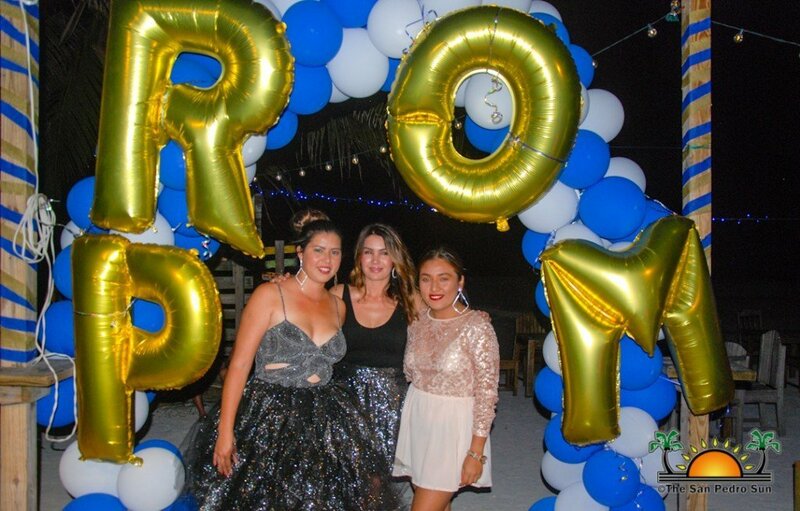 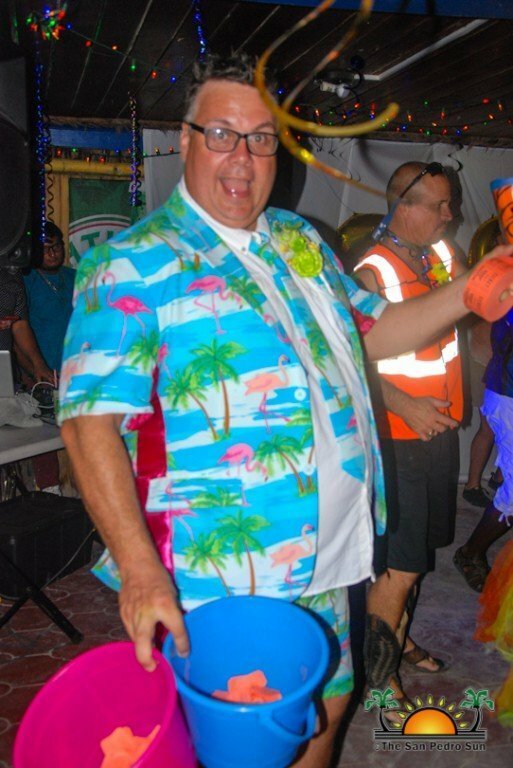 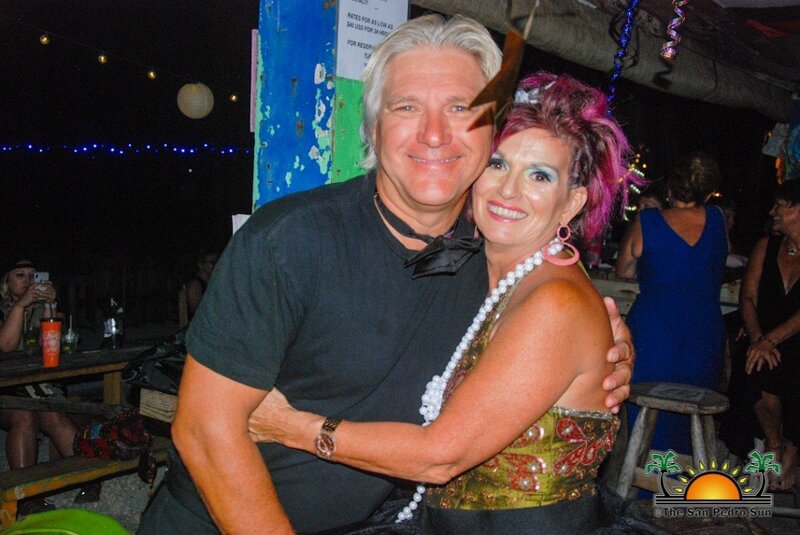 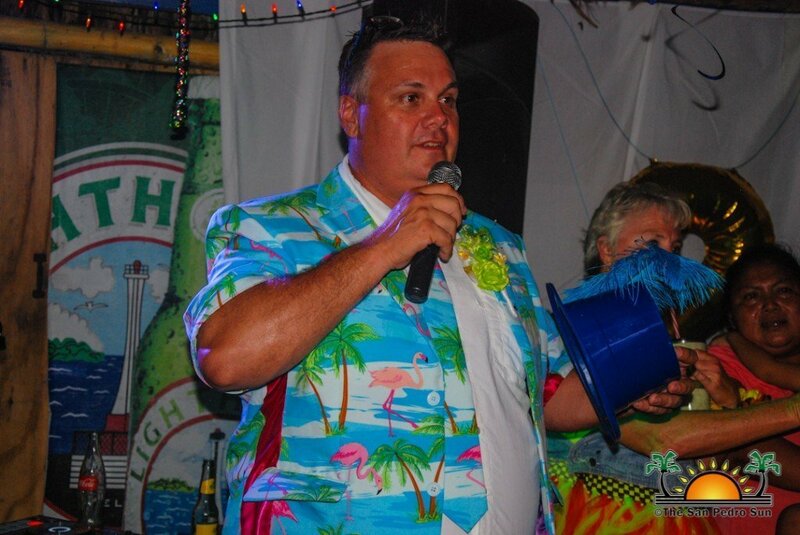 Under the title ‘Back to Prom 2019,’ Crazy Canucks Beach Bar debuted their first prom party on Saturday, February 9th, inviting their patrons to join in and relive the memorable past complete with music hits from the ’70s, ‘80s, and ’90s. 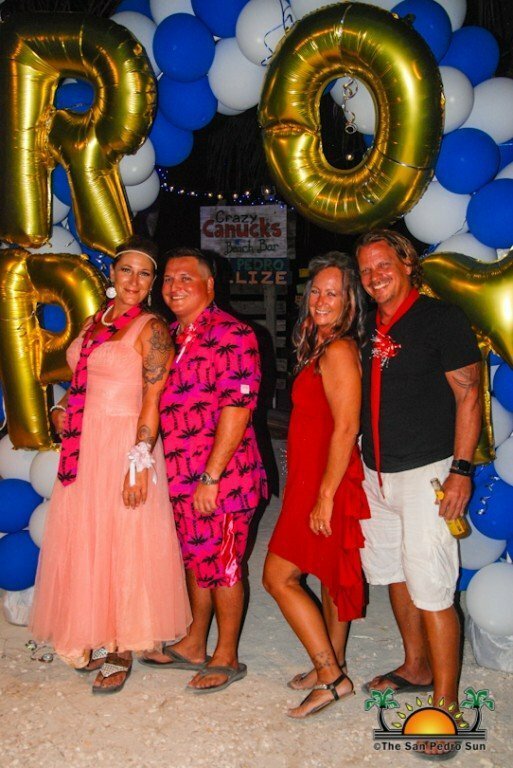 The beautifully decorated bar saw the best of prom outfits, and there was even the selection of a Prom Queen and King. 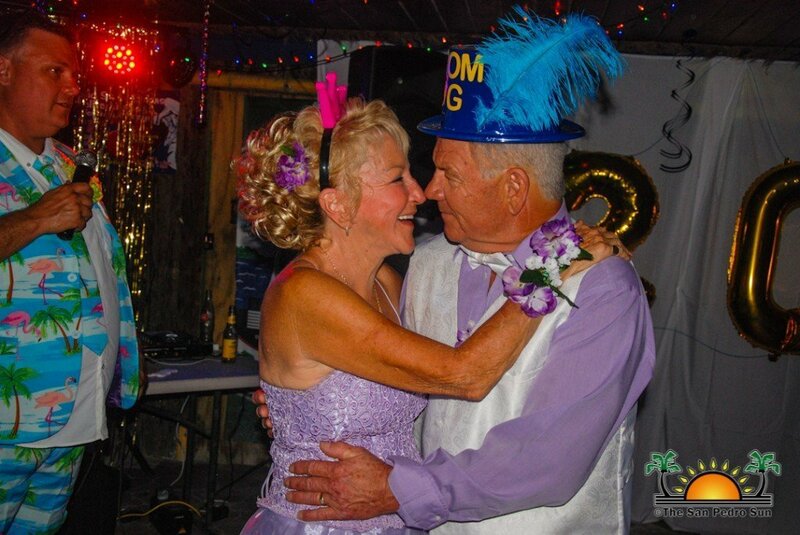 Dressed in elegant gowns and creative suits, couples began arriving at the party by 7PM. 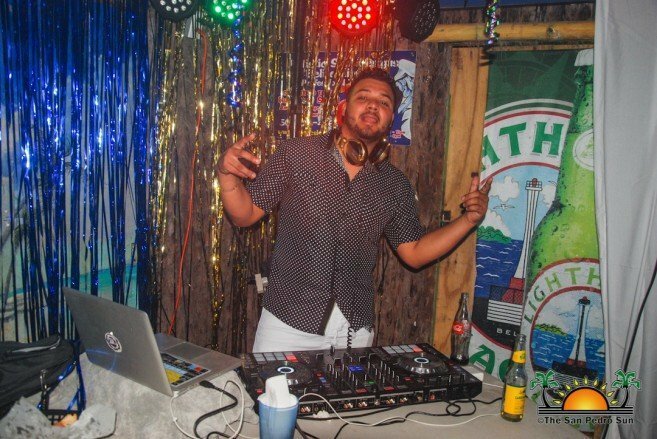 DJ Smallz started the party with hits from the ’70s leading gradually into the ’80s. 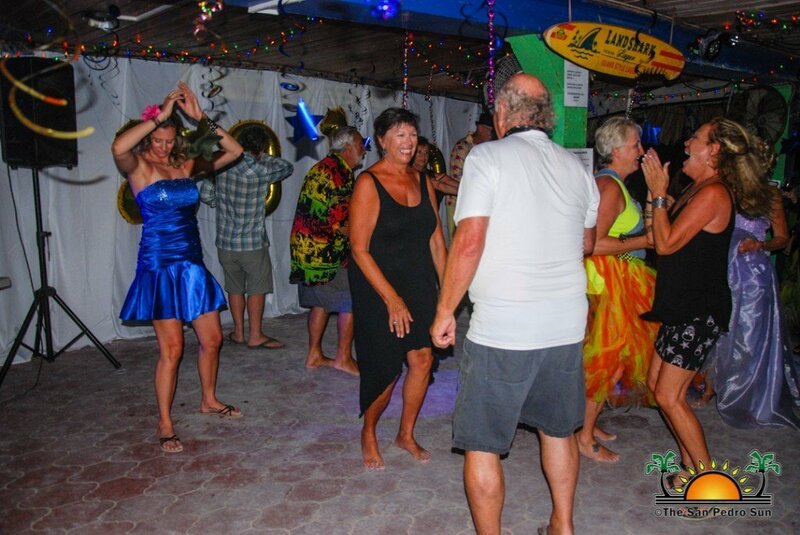 The dance floor was busy with couples dancing away to their favorite tracks and reliving their prom night all over again. 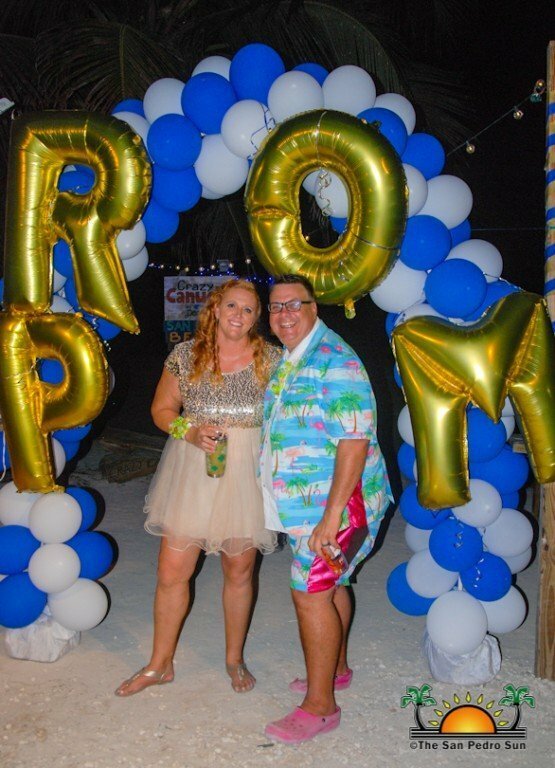 Many of the attendees told The San Pedro Sun that having a prom by the beach was a genius idea. 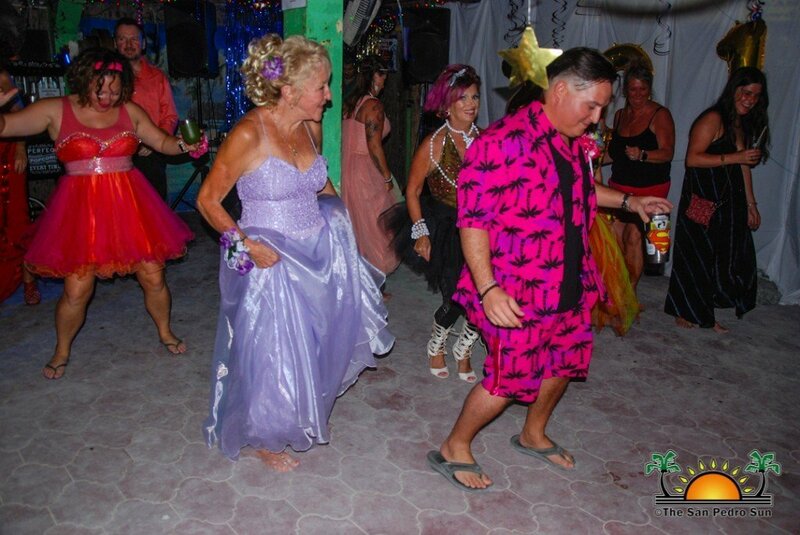 Throughout the night, as patrons mingled and continued the celebration, and the music switched to the ’90s, with dancers showing off their best moves on the dance floor. 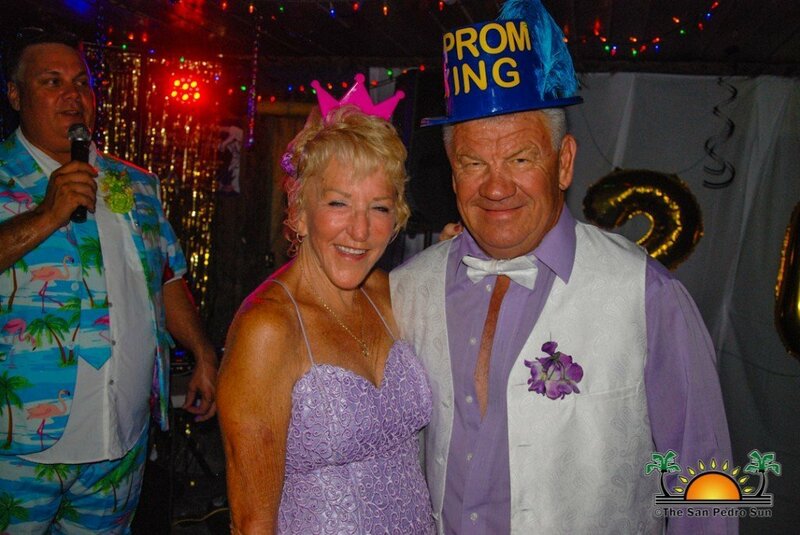 Bar owners Rob and Krista Burrows asked for a brief intermission to name the first Prom Queen and King, selected by everyone who attended the event. 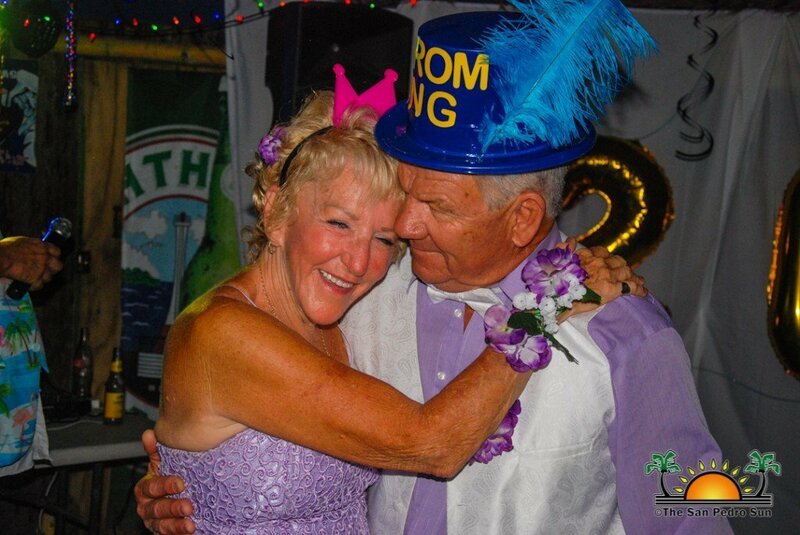 The honor of Back to Prom 2019 went to long-time island residents Kathy and Ric Wangsgard. 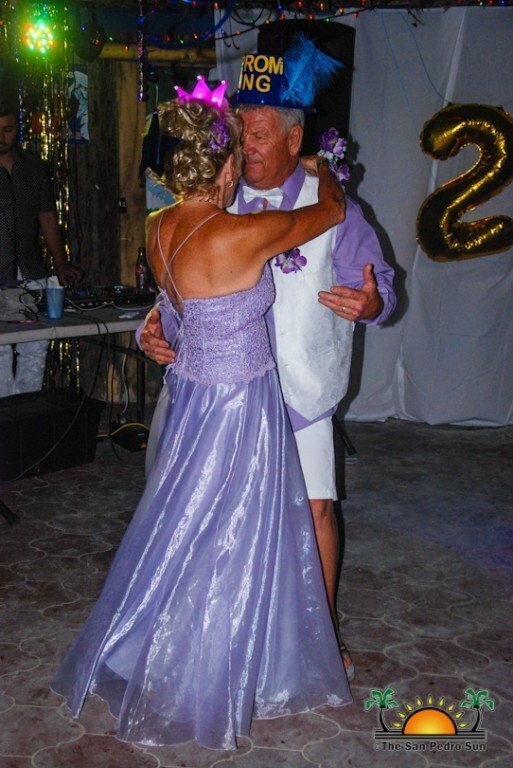 There was a toast to the Prom Queen and King, after which they danced under the spotlight. 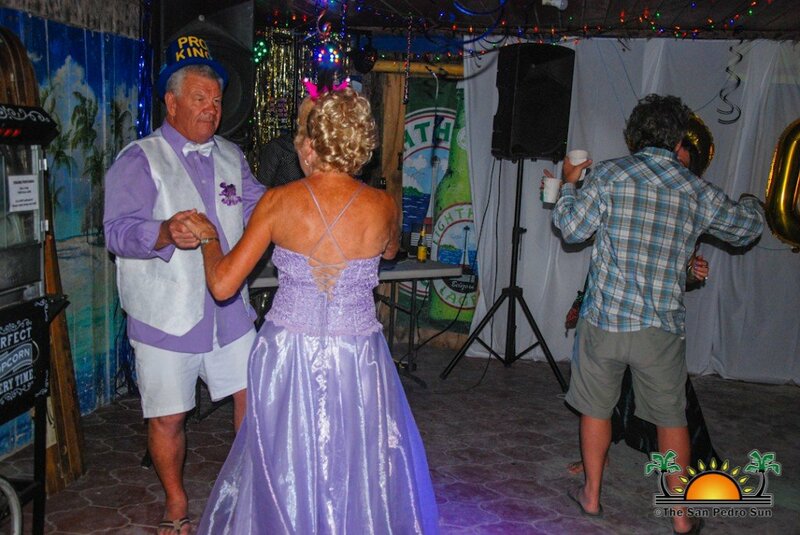 Shortly after, they were joined by the rest of the crowd who were eager to continue the party. 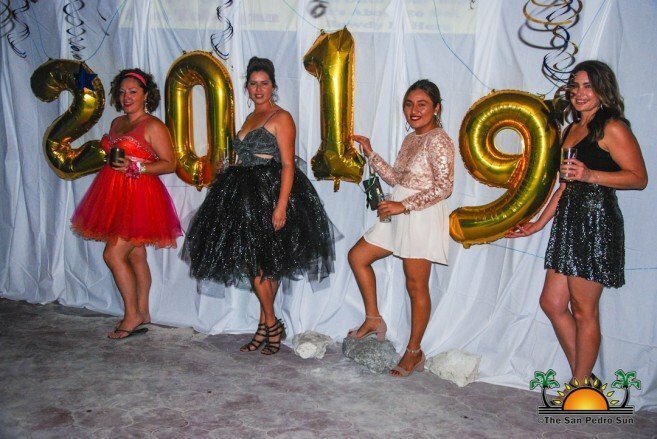 The event was deemed a success and plans are already in place for ‘Back to Prom 2020.’Crazy Canucks thanks everyone for their support and for making their first prom party an unforgettable experience.